Thyristor BT169D.112, 400V, 0.5A, 0.8A, 50mA, TO-92, THT Thyristor BT169D.112 with back-up voltage 400 V, direct current 0.5 A, 50 mA gauge, and housing TO92. Thyristor BT151S-650R, 650V, 7.5A, 12A, 2mA, DPAK, SMD Thyristor BT151S-650R with reverse voltage 650 V, direct current 7.5 A, 2 mA gate current and DPAK housing. Thyristor BT151S-500R.118, 500V, 7.5A, 12A, 15mA, DPAK, SMD Thyristor BT151S-500R.118 with reverse voltage 500 V, directional current 7.5 A, gate current 15 mA and housing DPAK. Thyristor BT149G.126, 600V, 0.5A, 0.8A, 200µA, TO92, THT Thyristor BT149G.126 with reverse voltage 600 V, direct current up to 500 mA, 200 mA gates, and housing TO92. Thyristor 2N6509G, 800V, 16A, 25A, 75mA, TO220AB, THT Thyristor 2N6509G with reverse voltage 800 V, direct current 16 A, grid current 75 mA and housing TO220AB. Thyristor ТБ 320-12, 1200 V, 320 A Thyristor ТБ 320-12 with repetitive peak off-state voltage 1200 V and on-state current 320 A.
Thyristor SKT215-14E, 1500 V, 375 A Thyristor SKT215-14E with repetitive peak off-state voltage 1500 V and on-state current 375 A.
Thyristor T151-100-8, 800V, 100A with radiator Thyristor T151-100-8 with repetitive peak off-state voltage 800 V and on-state current 100 A.
Thyristor T151-100-8, 800V, 100A Thyristor T151-100-8 with repetitive peak off-state voltage 800 V and on-state current 100 A.
Thyristor Т153-800-12, 1200 V, 800 A Thyristor Т153-800-12 with repetitive peak off-state voltage 1200 V and on-state current 800 A.
Thyristor Т171-250-10, 1000 V, 250 A Thyristor Т171-250-10 with repetitive peak off-state voltage 1000 V and on-state current 250 A. List Price: 80.00лв. VAT Incl. Thyristor TL4-250-10, 1000V, 250A Thyristor TL4-250-10 with repetitive peak off-state voltage 1000 V and on-state current 250 A.
Thyristor TL2-160-08, 800 V, 160 A Thyristor TL2-160-08 with repetitive peak off-state voltage 800 V and on-state current 160 A. 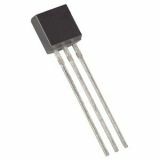 The thyristor is a semiconductor electronic components, a steering diode. 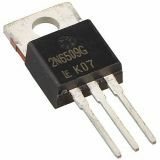 It is used as an electronic switch, through which circuits of high voltage and large current аре switching. 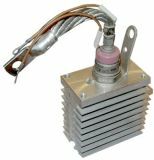 The thyristor is also used in starting circuits, rectifiers, regulators and others.